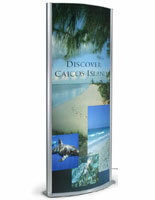 This poster snap frame floor stand with edge lit LED bulbs supports 22" x 28" graphics; the stand has a 125" power cord located within the pole. 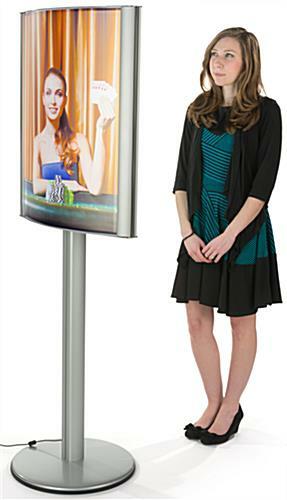 This double sided lightbox is curved, creating a modern style that gets promotional messages noticed. 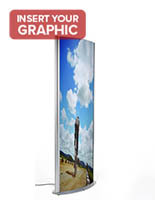 This illuminated display includes a PVC lens to protect the stored graphics. 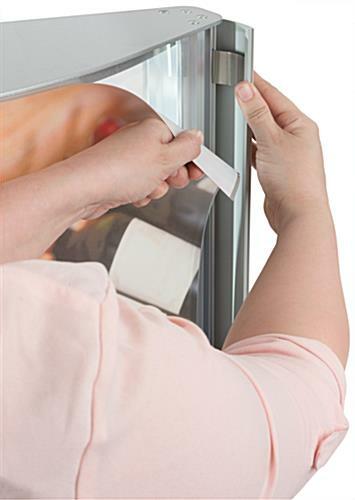 This snap frame floor stand, also known as a freestanding poster holder, is easy to load, and update. 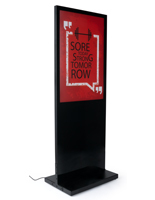 This lightweight advertising center is constructed of steel and rubber edging, with a weighted base. 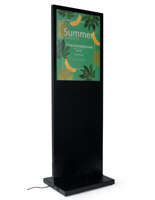 This floorstanding menu stand has a convex shape that is an attention grabber on a trade show room floor, in a mall, concert hall, cinema, or restaurant. Buy this 63.5"h signage to ensure your promotional signs get noticed in low-lit venues and large crowds. 18.0" x 63.5" x 17.5"